As a jr. high athlete in 1961, I did JFK's 50 Mile Hike, a feat that set me up for excellence in the basic training PT test when I was drafted in 1970. 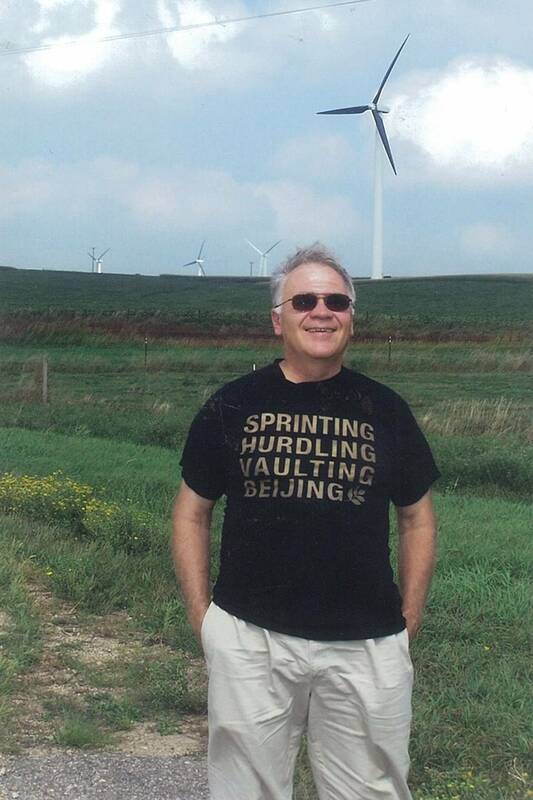 In 2007, when I turned 61, I did a 61 Mile Hike, calling for less war, therefore fewer veterans, and an end to arguing about veteran care, especially mental health and exposure to chemical toxins. 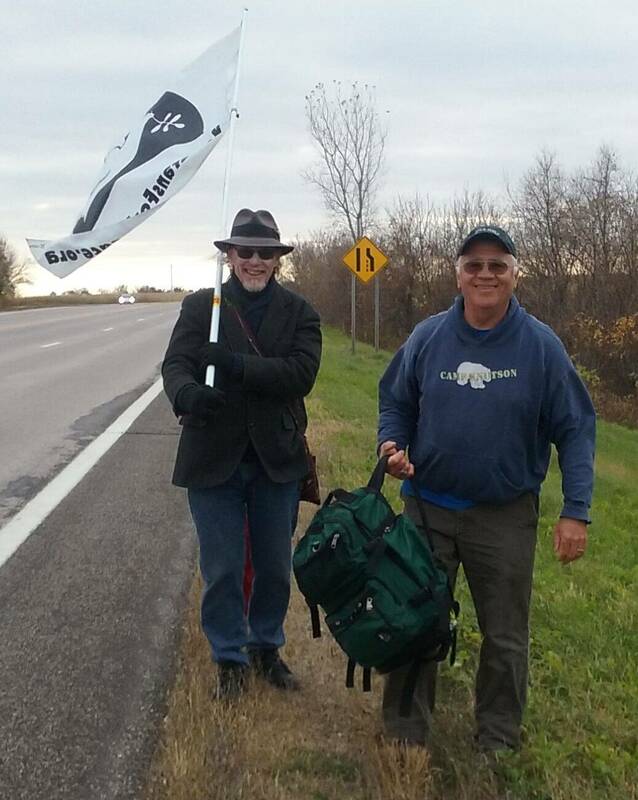 Last year, when I turned 70, I did a 70 mile BEATING WEAPONS INTO WINDMILLS WALK, and had a book, SIXTY-ONE, published by Shipwreckt Books. Elements of that book appear in what I write here, and it's not so much my story, as a collection of reflections of what happened to me, spiritually and philosophically, because I served as an unarmed medic during the War in Vietnam. In the middle of that I discovered the hidden fact that the early Christians refused to kill, even in warfare, because of the nonviolent teachings of Jesus, and I wrote a conscientious objection statement. After medic training, I was sent to Germany and told we'd be in Vietnam in 3 months. That never happened, for which I thank God every day. However, the time in Germany was benign, a waste of time. No hint of heroism and far from "Hacksaw Ridge". I would have been much better in the Peace Corps, though I did have the wonderful experience of being able to travel a great deal thru Europe. I tell people my university degree and my draft notice arrived in the same day's mail. When I started college, I was working for Minneapolis Youth for Christ, the branch that Billy Graham came out of. I was being paid to "evangelize" young people living in violence, and in trouble with the courts. The broader Christian milieu, the one in which I'd been raised was one of being taught our Christian duty to go kill Communists for Christ, before they could come over here and take our God-given freedoms. In the middle of that I discovered the hidden fact that the early Christians refused to kill, even in warfare, because of the nonviolent teachings of Jesus, and I wrote a conscientious objection statement, paralleling the later John Prine song, "Jesus Don't Like Killing, No Matter What the Reason For". I signed the blank saying, if I was drafted, I would serve as a medic, but would not carry a weapon or deliberately take life. This is what happened, and in my mind I would be getting people back home where they belonged. Mostly we were expected to pretend we had something to do, except when we were giving penicillin shots to fellow GIs who had nothing to do but go to town and have a good time. Those of us who were conscientious objectors had all the same classes as everyone else, except for weapons training. We had Geneva Conventions training, and were taught emphatically, "We abide by these rules of warfare. They don't". I personally don't believe that, because the Geneva Conventions define killing civilians as a war crime, and we, like everyone else, drop bombs. Something like 90 percent of who gets killed or injured in modern warfare is civilians. I think at some point we, and the rest of the world, must face the tragically ridiculous reality of saying that 9 out of 10 wartime deaths are "collateral damage", individuals sadly in the wrong place at the wrong time. Years later I also looked into THE JUST WAR THEORY, the "doctrine" at play when I and my church friends were taught we must go out and kill Communists for God. Created in the 4th century to make it OK for Christians to quit refusing killing in warfare, the teaching has a number of standards that must be met before a war can be called "just". Though it's watered down, or obfuscated, in some more modern writings on the subject, one of the original tenets is "It's a just war if no civilians are harmed". I fear the way it's mostly been used is preachers, who never even read it, shouting "It's a Just War" if it's their country conducting it. Thank God the Pope, whom I was taught as a child to despise as "The Antichrist", is now currently questioning the validity of the Just War Theory for Christendom and the World. On that Wall are the names of too many young people who never even got to live their lives... we should stop obfuscating the rules and laws we already have. An aside, perhaps, but my parents and family were supportive. They didn't understand how I could go against the "inerrancy" of the Bible, as Billy Graham and others taught it, but they didn't trash me or throw me out. Other of my former colleagues did, however, climb all over me for disobeying God. Even though I served, and they didn't, I was wrong. Even though just a cursory study of history shows that the original followers of Jesus refused warfare killing for 300 years plus, I was wrong. My reasoning was they were closer to him than leaders today and must have known better what he meant, but apparently I was wrong about that too. I came home in 1972 and tried to forget the meaninglessness of it all, dealing instead with the difficulty too many of us have had, getting a job. Years later, in 1996, I went to STAND FOR CHILDREN, a massive gathering organized by Children's Defense Fund in Washington D.C.
For years I had wanted to visit the Vietnam Wall, but by the time the daylong rally was ended, it was late. The office for getting a map to find names was closed, so I decided to read the entire Wall to find the names I was looking for. Several hours later, darkness descending, I acknowledged I had taken on another unwieldy task and should come back another time when the office was open. At that point, I read one more section of the Wall and encountered something I wasn't expecting. There was my name, including middle initial, LARRY D. JOHNSON. Before the advent of cell phones, there were 100 Larry Johnson listings, only four of them "Larry D. Johnson". My mother had died 5 years earlier, but I could hear her clearly saying, "Use your middle initial, so you don't get mixed up with other people". The Beating Weapons into Windmills Walk. Photo by Mary McNellis. I had the eerie feeling of hovering above the Wall in trance, or maybe as a spirit. I was grateful to be alive, penetrated at the same time with sadness for that Larry Johnson and his family and friends. I was also intensely aware of how easily that name could have, in fact, been me. If killing civilians is a war crime, one that makes a war unjust, we should be finding other kinds of force to settle international differences. Almost 30 years after the end of the War in Vietnam, Robert McNamara, Secretary of Defense from 1961 to 1968, publicly said something like, well, gee, uh, well, we knew at the time we shouldn't be there. Well, gee, uh, well, uh, gee, I'm sorry. He lived out a relatively long life, taking advantage of lucrative jobs and other offers that come from high-level government service. On that Wall are the names of too many young people who never even got to live their lives. My position today is, yes, bad things happen, and people need to be protected, but we should stop obfuscating the rules and laws we already have. Further, eliminate the profit motive. Killing should not be a marketable commodity. I have long advocated that when war is pending, weapons makers should step up and show the same sacrifice they ask of us who enlist or are drafted. Make what's needed and pay the workers, but zero profit for CEO types and shareholders. Though not a total answer, this would begin to sort out "necessary" from "bottom line" business, too often secretly providing weapons to the "enemy" to fire back at U.S. soldiers. This submission is part of the Stories of Gratitude and Stories of Protest collections.